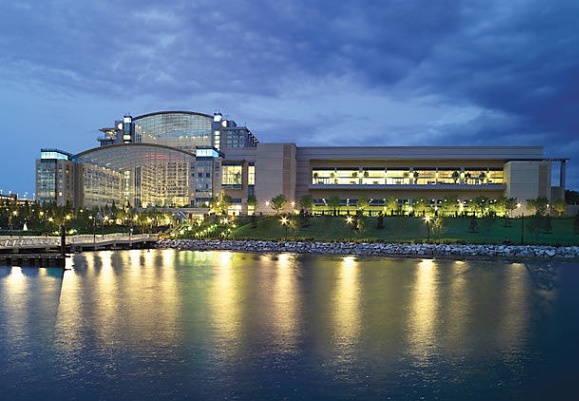 Multiple Sclerosis News Today will provide extended on-site coverage of the Consortium of Multiple Sclerosis Centers (CMSC) 2016 Annual Meeting June 1-4 at the Gaylord National Resort and Convention Center in National Harbor, Maryland, across the harbor from the nation’s capital. Our news team will be posting feature articles on presentations at the conference, exclusive video interviews with leading multiple sclerosis (MS) researchers and professionals from the convention floor, as well as live, breaking social media coverage and live streaming. The CMSC 30th Annual Meeting marks the organization’s 30th anniversary, and is a celebration of three decades of achievements, not only for the CMSC but for all MS healthcare professionals and researchers. The Hackensack, New Jersey-based CMSC observes that the multiple sclerosis world has changed. It notes that new and promising therapies have emerged, international recognition of the value of the team approach has increased, and advanced models of comprehensive care have given more prominence. The 2016 meeting content reflects this evolution in MS care and research. CMSClogo.pThe CMSC Annual Meeting is the largest North American MS conference, with typically more than 2,000 delegates attending. Educational content presented at CMSC meetings is uniquely structured to provide clinicians and researchers with the latest information on new developments in MS science and the latest clinical tools and knowledge to enhance MS care. The 2016 meeting will provide more than 130 educational hours to meet the needs of its multidisciplinary audience, with this year’s agenda including, for example, sessions focused on the role of relapses in overall MS care, the concept of NEDA (no evidence of disease activity), magnetic resonance imaging (MRI) guidelines in MS, and updated best practices in infusion care. As in previous years, the meeting will feature specialized tracks on current topics and trends in MS rehabilitation, along with courses on the fundamentals of MS care. Continuing education credits are available for participating physicians, pharmacists, psychologists, nursing professionals, social workers, and occupational therapists. A comprehensive four-day curriculum fulfills consortium members’ needs and requests, while still providing time to network with colleagues and friends and take advantage of all that is offered at the meeting. Dr. Rick Munschauer, vice president of medical affairs, neurology and immunology at global pharma Merck KGaA’s Darmstadt, Germany, biopharmaceutical division EMD Serono, recently discussed the value and importance of the CMSC Annual Meeting with MS News Today, explaining its relevant for the giant pharmaceutical company. MS News Today also interviewed Dr. Ellen Mowry, associate professor of neurology and epidemiology at Johns Hopkins University in Baltimore, about how her epidemiological studies led to her belief that vitamin D may be particularly important for people with MS — knowledge she will be sharing at the CMSC 2016 Annual Meeting. For a complete list of our pre-conference articles concerning CMSC 2016, please visit this link. MS News Today‘s on-site coverage of CMSC 2016 will be anchored by BioNews Services Group Managing Editor Ana de Barros, Ph.D., and Patrícia Silva, Ph.D., Managing Editor of MS News Today, will guide coverage off-site. Also attending the conference will be BioNews Services CEO Chris Comish, Contributing Editors Carol Jertson and Eileen Soler, Social Media Director Isaura Santos, and Social Media Manager Andreia Peixoto. The BioNews team’s on-site reporting will include feature articles, interviews, and social media coverage on Facebook, Twitter, and Pinterest. Social media accounts for MS News Today can be found in the upper right corner of the site’s homepage. and #msnewstoday hashtags, as well as on this page, where articles, social media, and videos will be updated in real-time. At the meeting in Maryland, please come and visit us at booth 610.